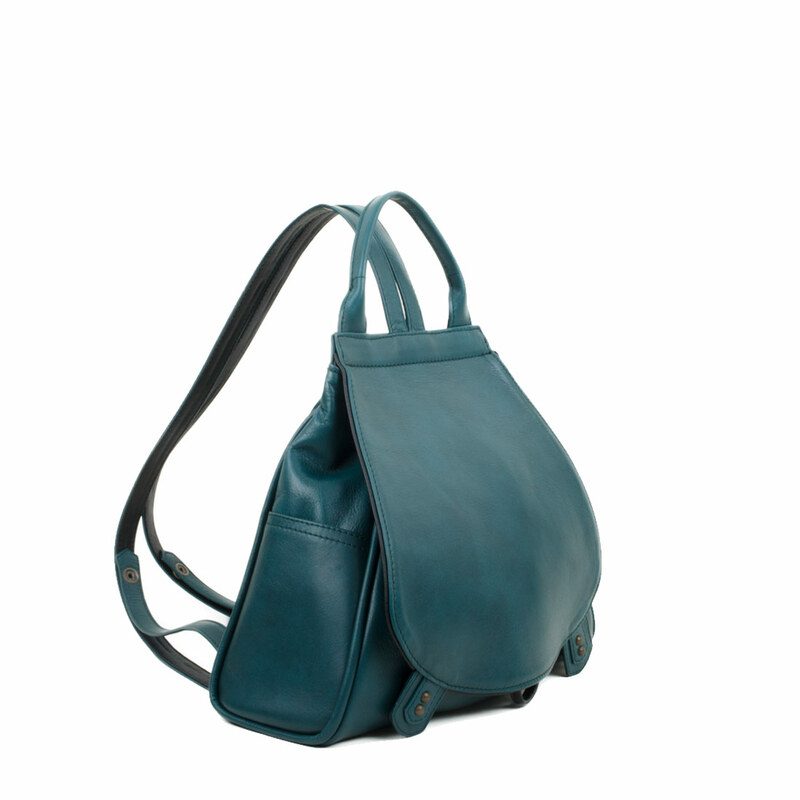 The Daliya in teal is new to our range, the must have backpack for this autumn, she is a smaller version of our classic the Saddlebag. 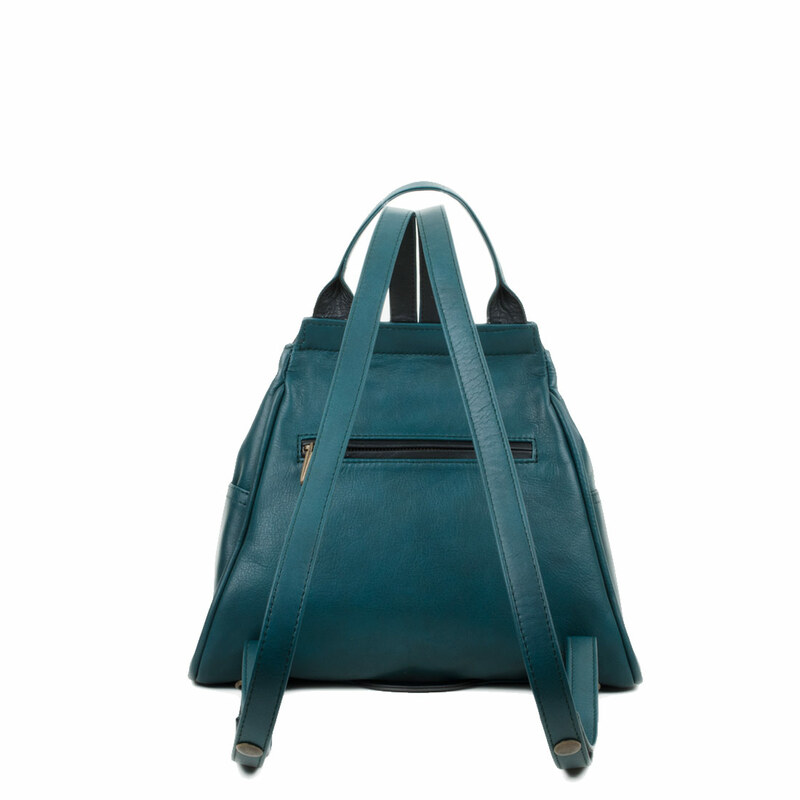 A great bag for everyday, dashing off on the school run, running for the train on your way to work or a hike on the downs. She has a drawstring opening a zip pocket on the back for all those important possessions and two pockets on the outside. 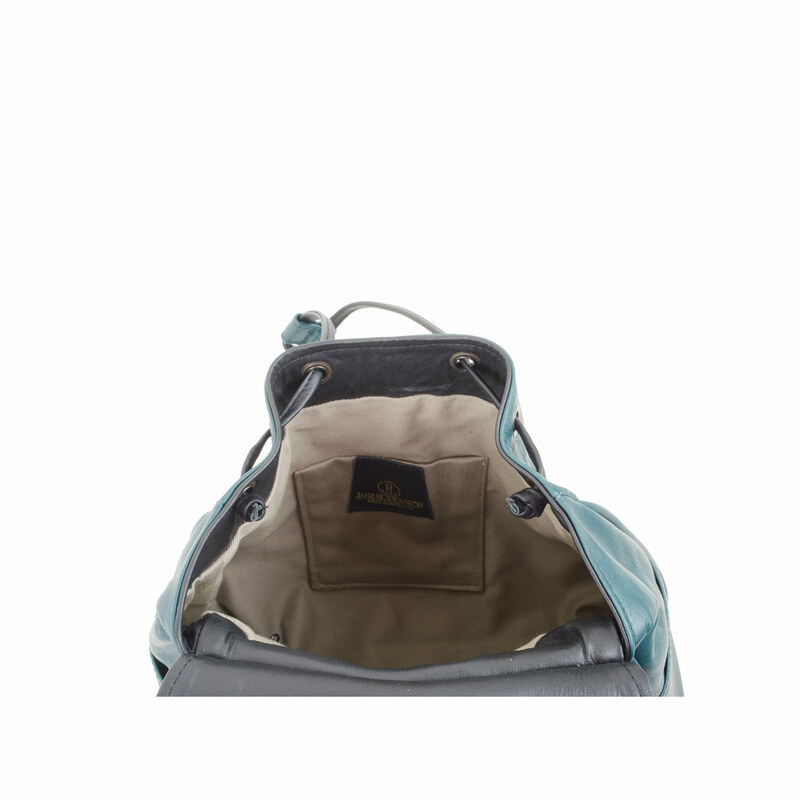 You can use the Daliya as a grab bag with its extra handle or as a backpack. 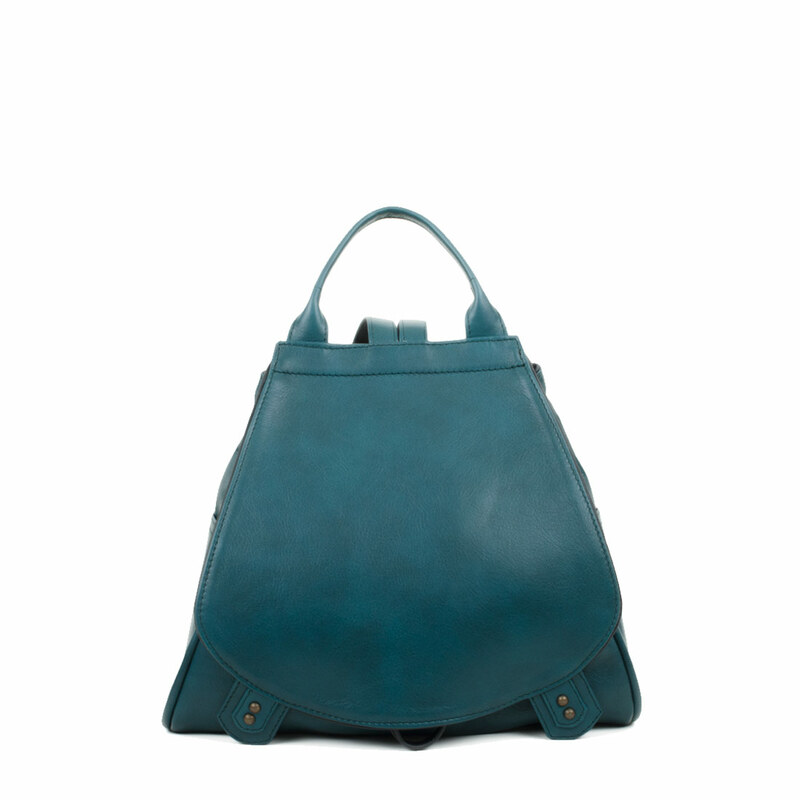 With 26cm | Height 22cm | Gusset 7cm | Handle drop 22cm.